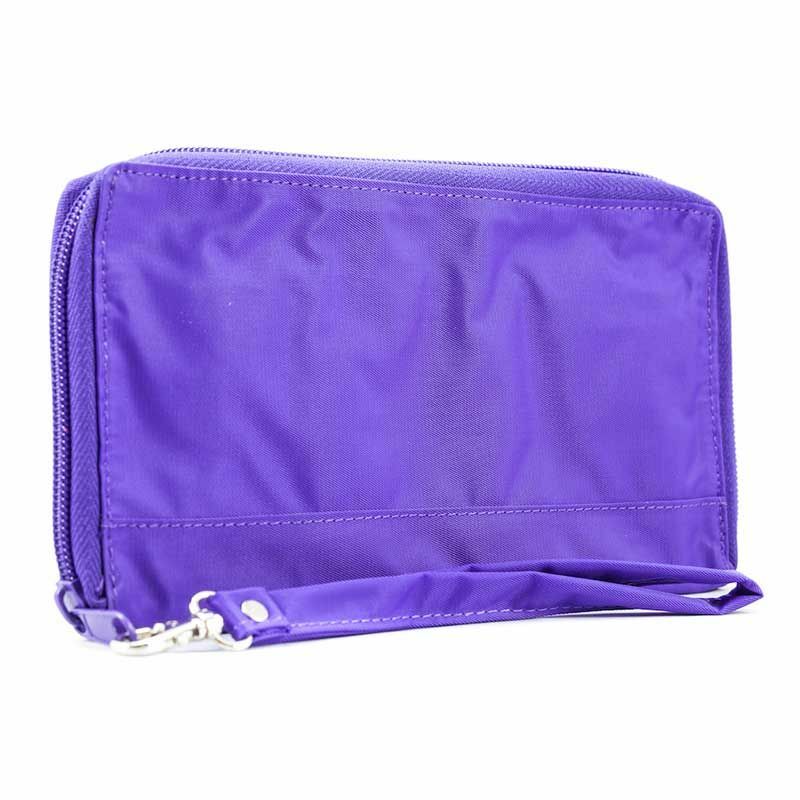 Our Panther clutch from Big Skinny is a combination wallet and handbag that will secure all your essentials without the weight of your current shoulder bag. The Panther is only a half-inch thick when closed. 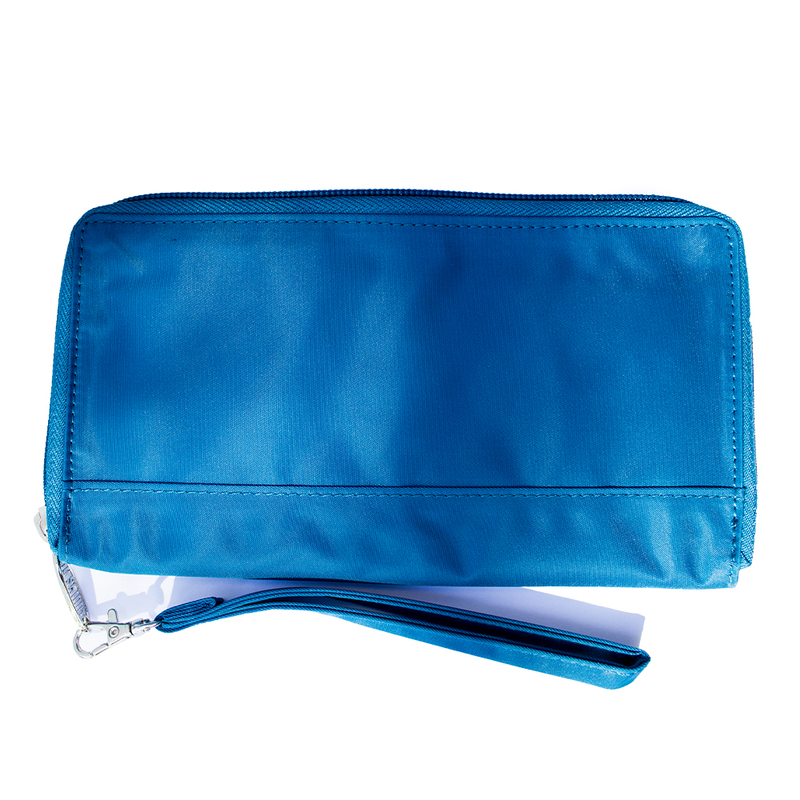 Love is the favorite word used by customers sending in their rave reviews for this ultra-thin clutch with a handy detachable strap. 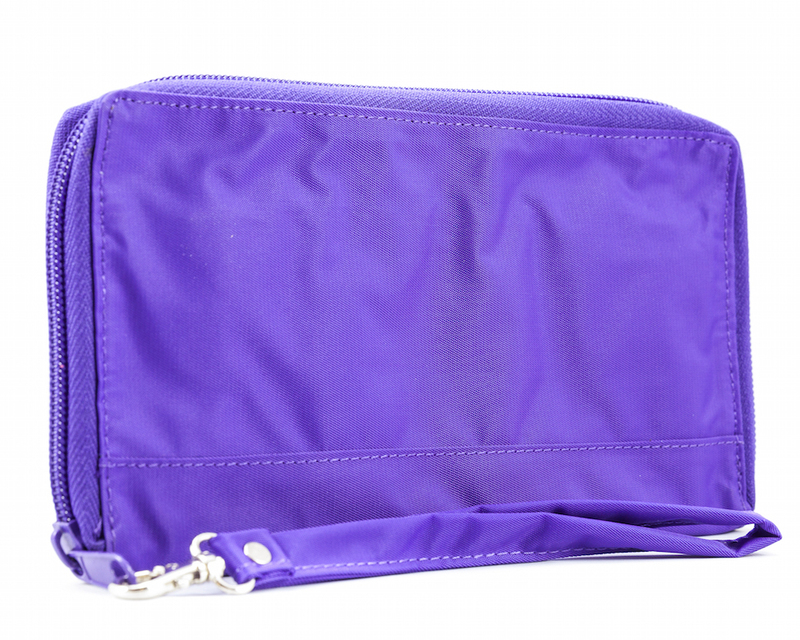 Because it's crafted of our proprietary nylon microfiber, you can toss it in the washing machine and air dry. It's pretty enough for date night, too, in a sleek tuxedo black or our favorite - electric purple. 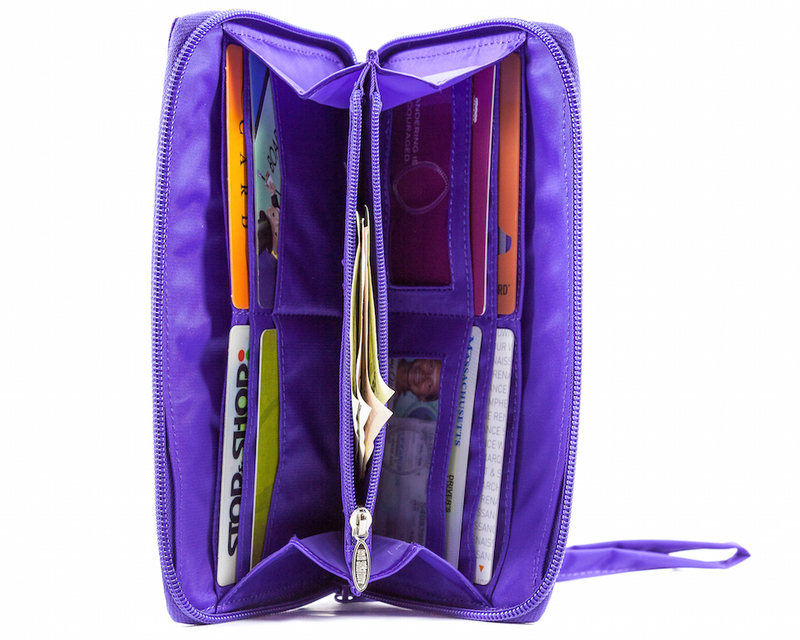 A zippered inside coin purse was added for convenient access. 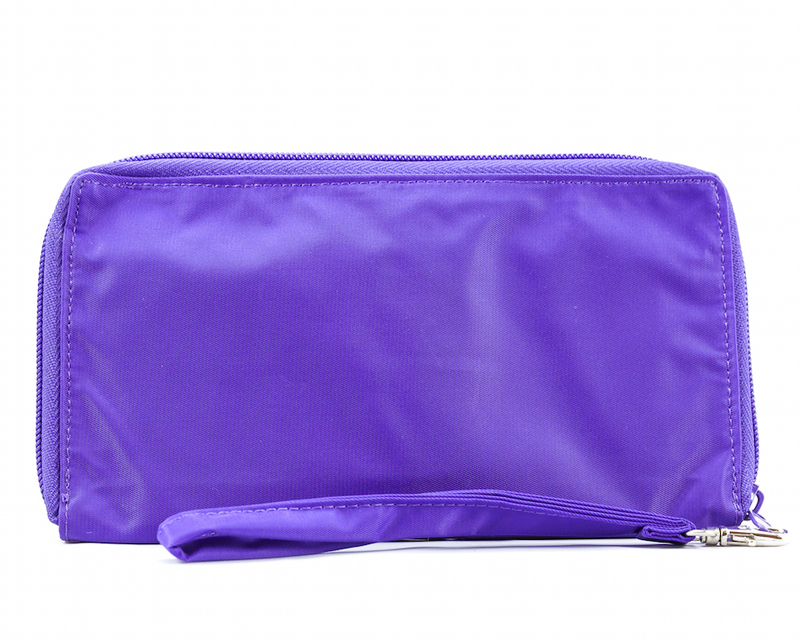 The zippered outside closure means extra security. 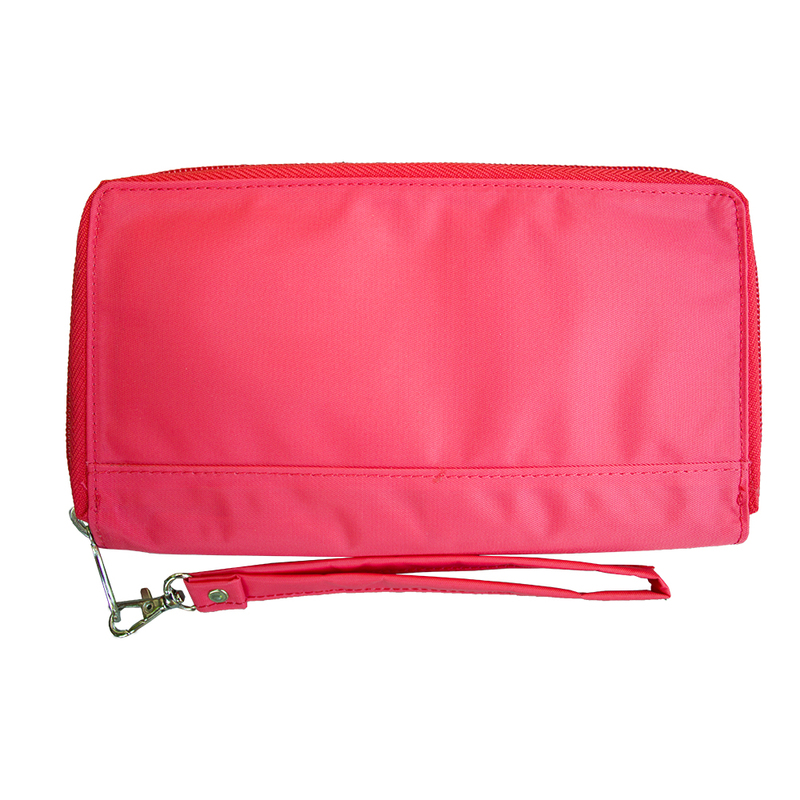 Easily holds 25-plus plastic cards, cash, lipgloss, phone, keys and more. 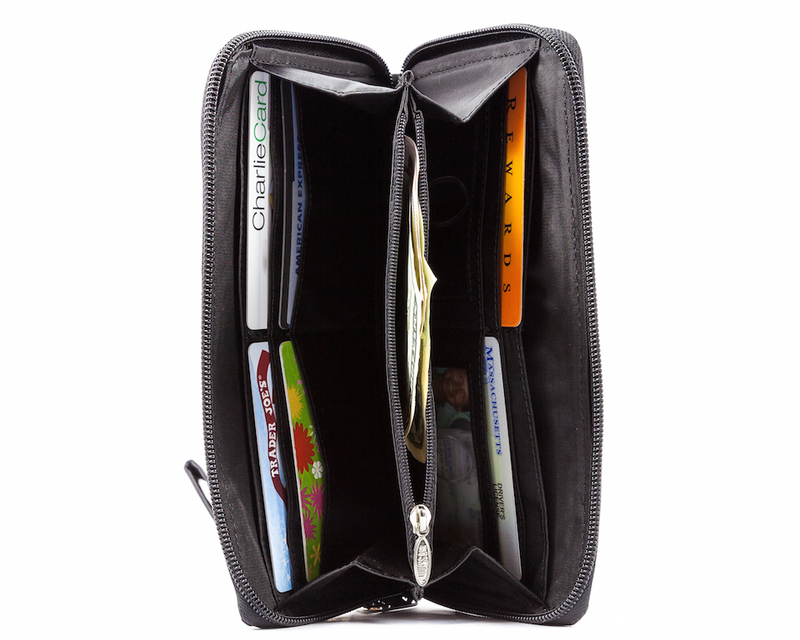 Our Panther clutch has two general billfold/checkbook areas, two extra-wide gusseted storage areas for your essentials, six extra-wide credit card pockets and two extra-wide clear ID pockets. 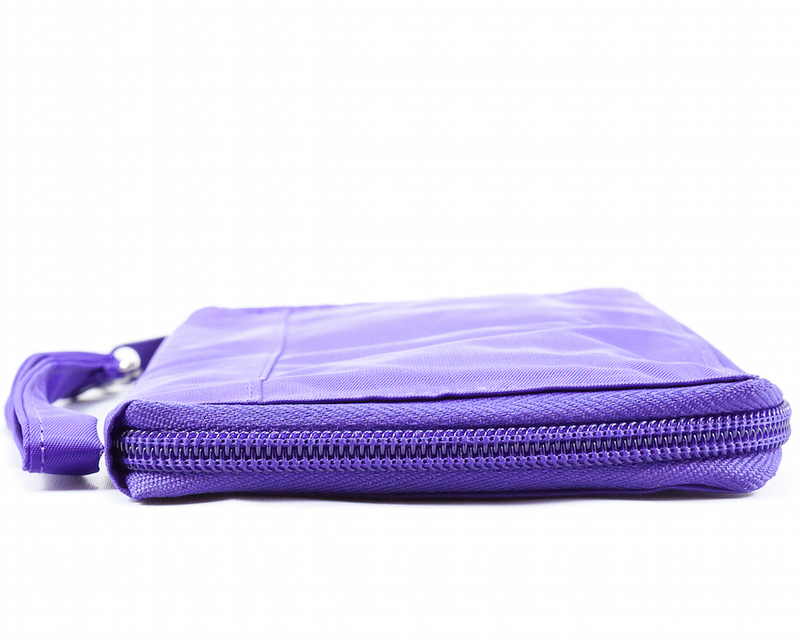 The detachable strap is 9 1/4 inches long. 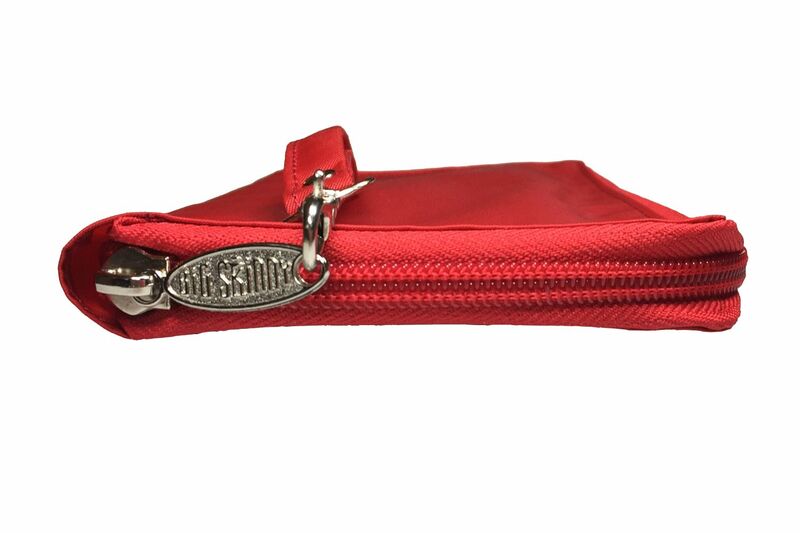 Our gorgeous Panther purse/wallet measures 7 1/2 inches wide and 4 1/2 inches tall. 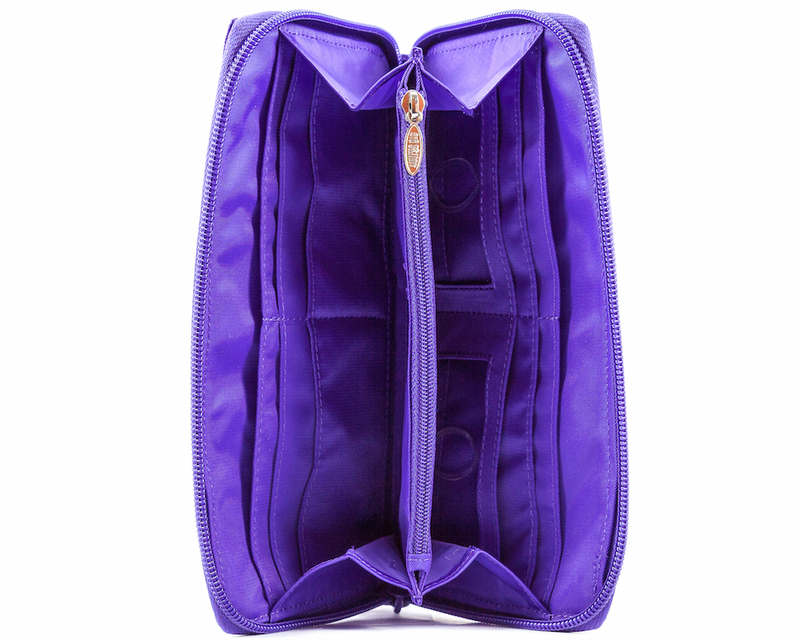 Add this to your suitcase, and you'll have room to pack more shoes. This is the second time I purchased this wallet and I did it because it was just worn out with so much use after 4 years. I love the weight and handling and the durability. 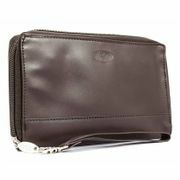 So hard to find a nice slim wallet! This is definitely a great one. I have/had a similar item in leather, other company, for some years now. I now use this holder and I am truly happy with the item. Looks nice, nice material, slim and light weight. 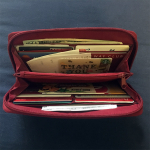 The Panther Clutch is a wonderful wallet, and I agree with other posters that it remains beautifully thin no matter how full. I've had it in almost every color and I'm just about to order another for a friend who spied it and exclaimed "Is that your wallet? Wow!!!" 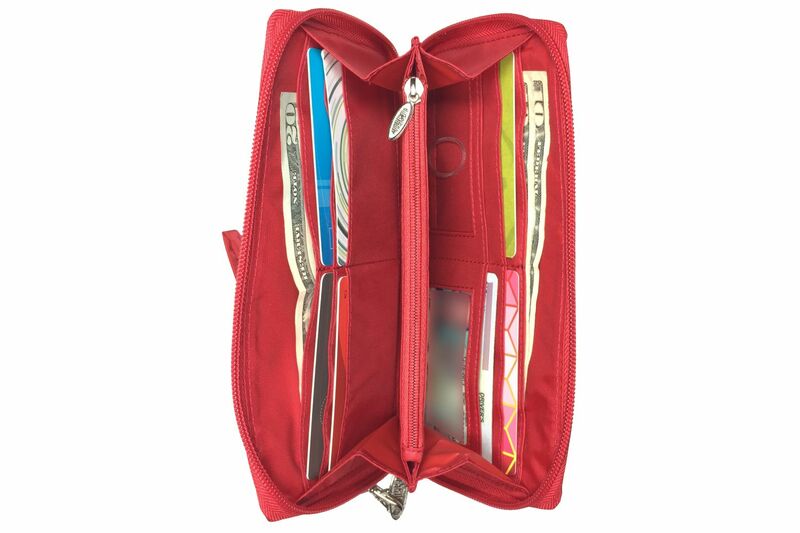 Yes to the outside pocket idea...that would make this wallet perfection! I've used (and given as gifts) Big Skinny wallets, card cases, travel wallets, and the best designed small wallet ever: the Lynx (btw is that coming back in Blue?). All fill a special niche, hold up well, and are a pleasure to use. One concern I have: are you putting the raised logo on more items these days? That would be a problem for me, as I think its use makes the items look less elegant and streamlined. I understand wanting to have the logo visible, but something more subtle would be far more attractive and in keeping with the rest of your look. Thanks for great and innovative products! 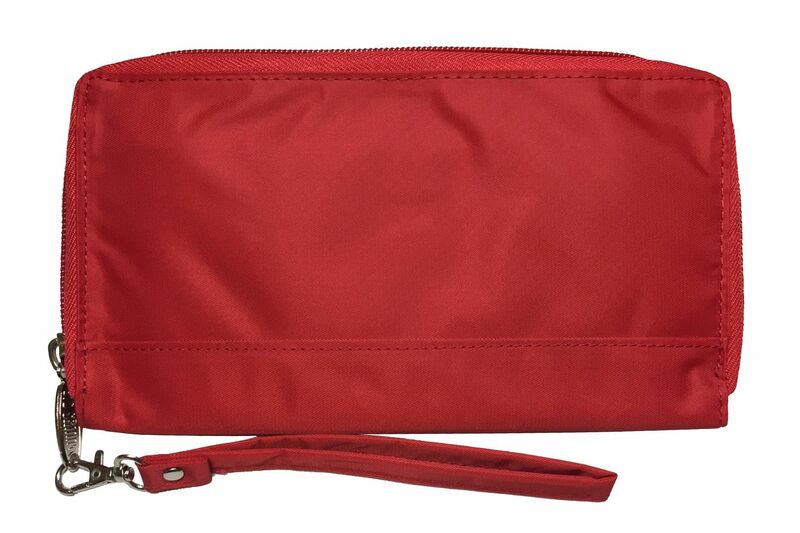 I bought a "cocktail red" Panther Clutch in 2012, and it is still in my purse today. 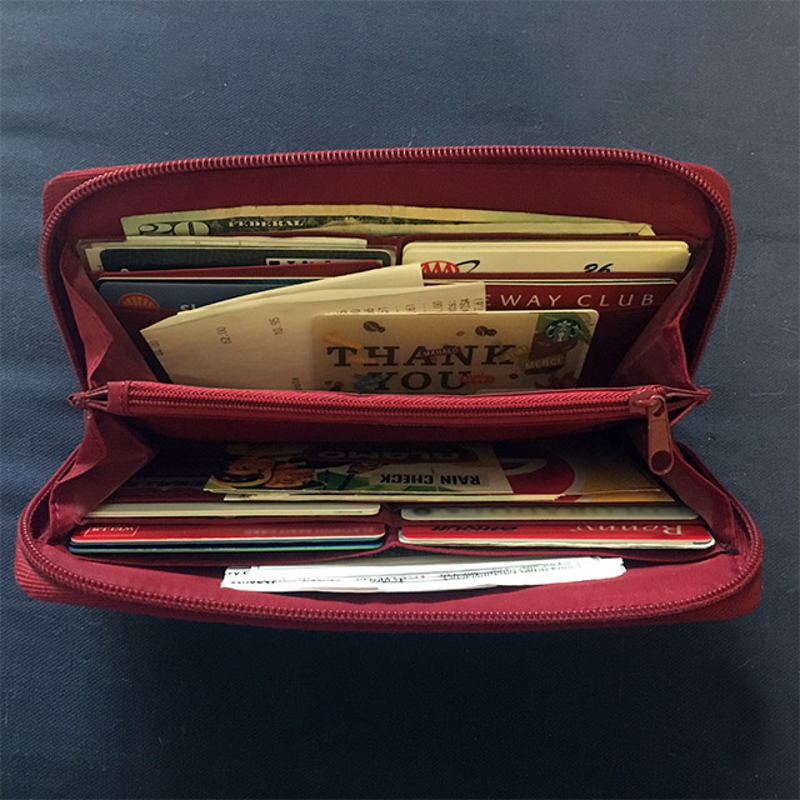 It's well-organized and it holds a lot: folding money (which doesn't need to be folded), debit cards, membership cards, business cards, receipts, discount cards, library cards, insurance ID, photos, etc. 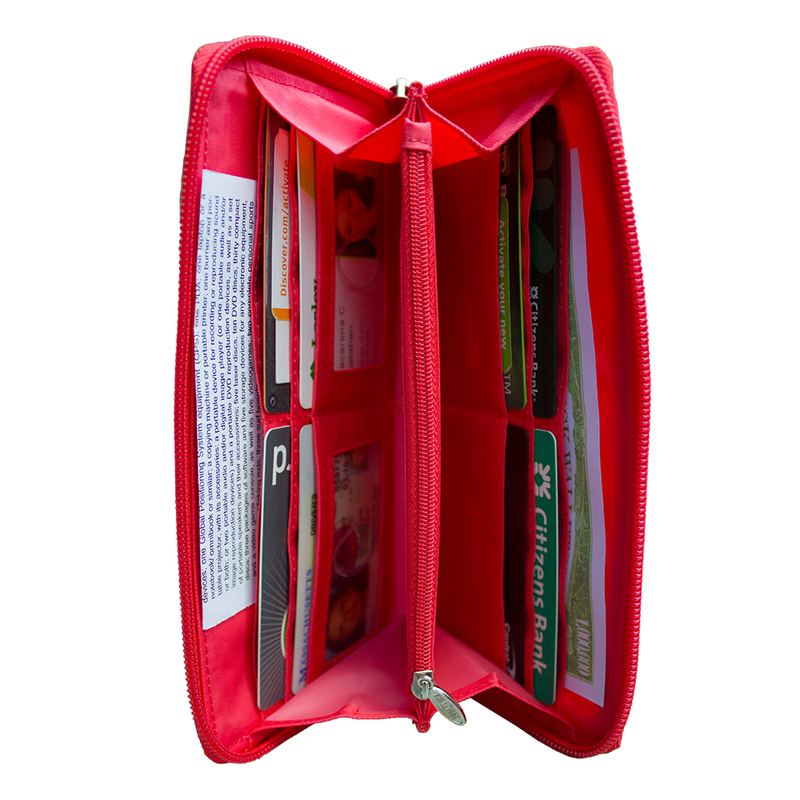 There's room to keep my business and personal receipts separate, which is a huge timesaver. 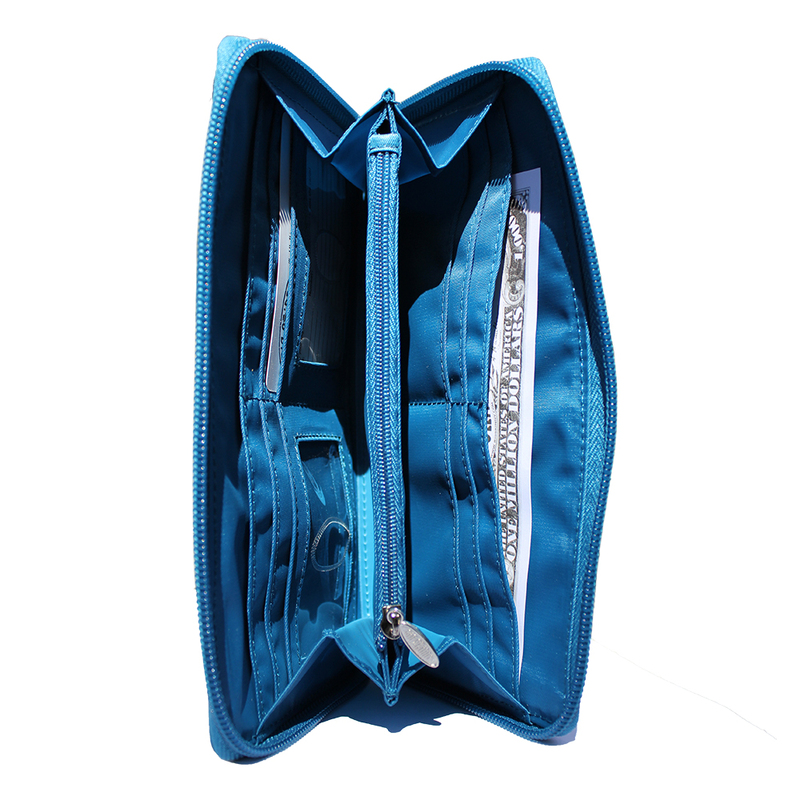 It also has a separate full-length zippered pocket inside that I use for coins. And it truly stays skinny, even with all that stuff. 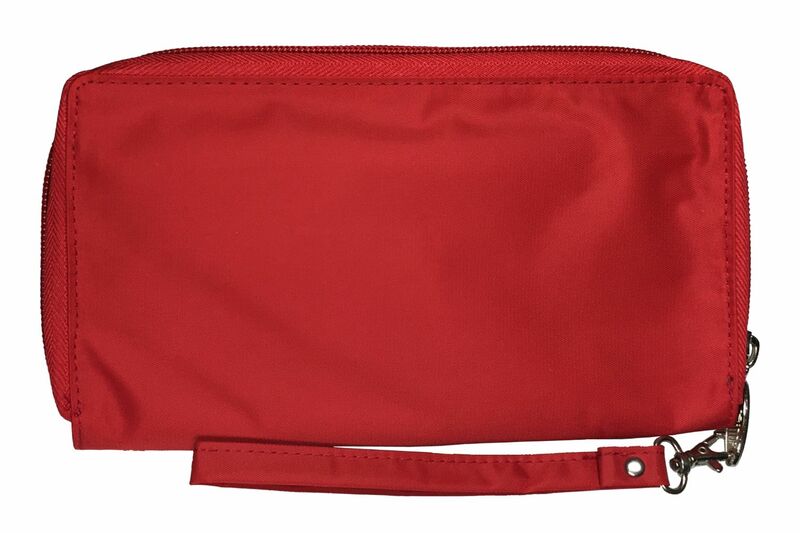 The red color is easy to find in my purses. 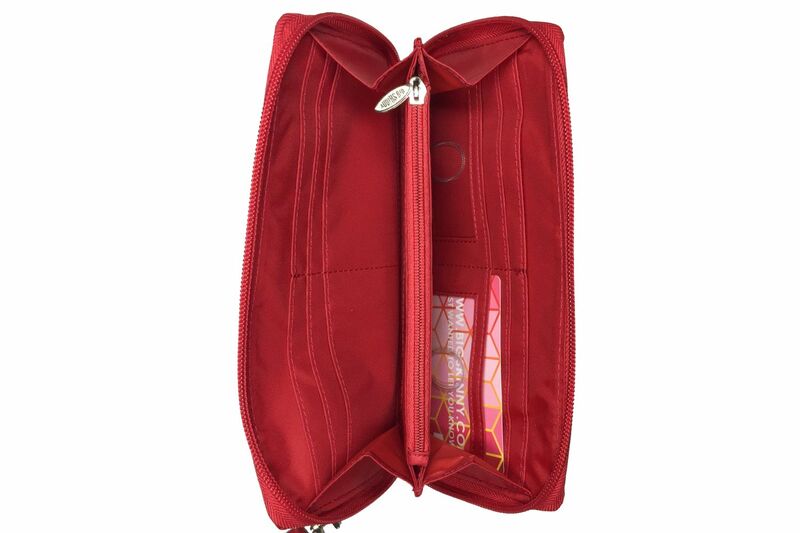 I just ordered the smaller Lynx wallet for my smaller travel and "evening" purses and I'm sure I'll use it for years too. 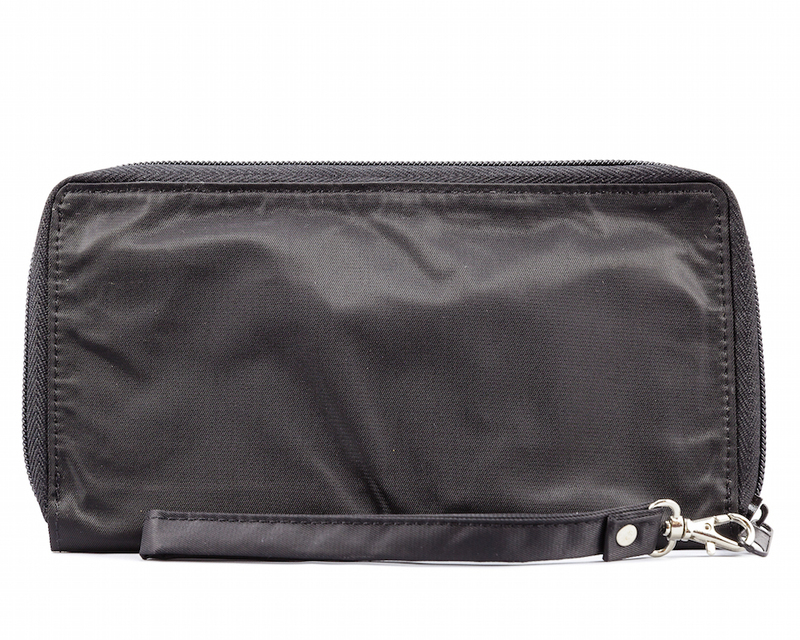 Lightweight,slim, strap allows me to take just my wallet into stores. ConsWould like more slots for credit cards, and maybe an outside pocket for parking tickets,receipts, etc. I love my Panther Clutch because it holds everything that I need in one place and is still slim & organized. I used to have the myphone wallet which was perfect until I switched to the iPhone 8 which is larger so couldn't fit. My husband loves his tri-fold wallet too. Great wallet. They�€™re right that the this wallet is thinner when I load in the same things I had in my other wallet. I wish it came in better colors�€”like red, gray or tan�€”more neutrals. 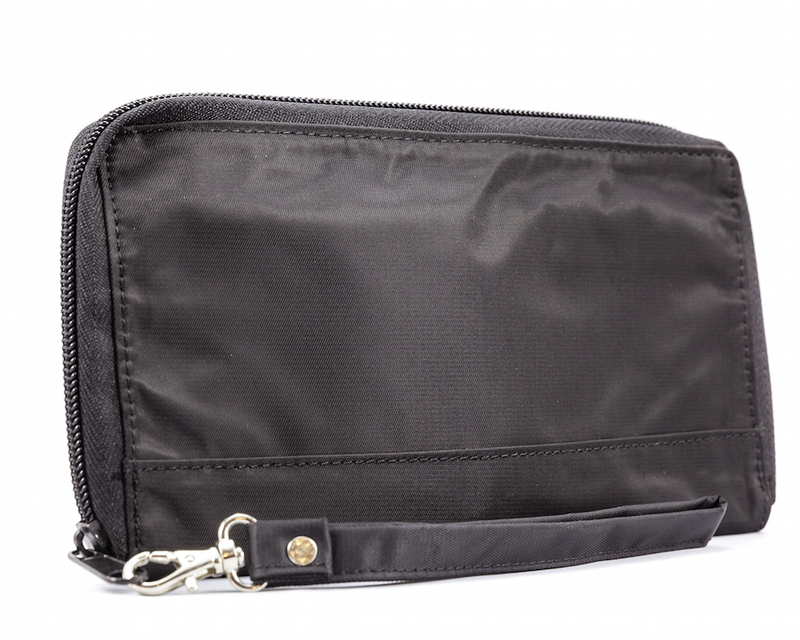 I like to use more minimal items for travel and I love that this is the same style and has the same features as my everyday bulky leather wallet, but it is half the size and weight! I may actually start using this for everyday instead of just travel. Last suggestion would be about the black one. 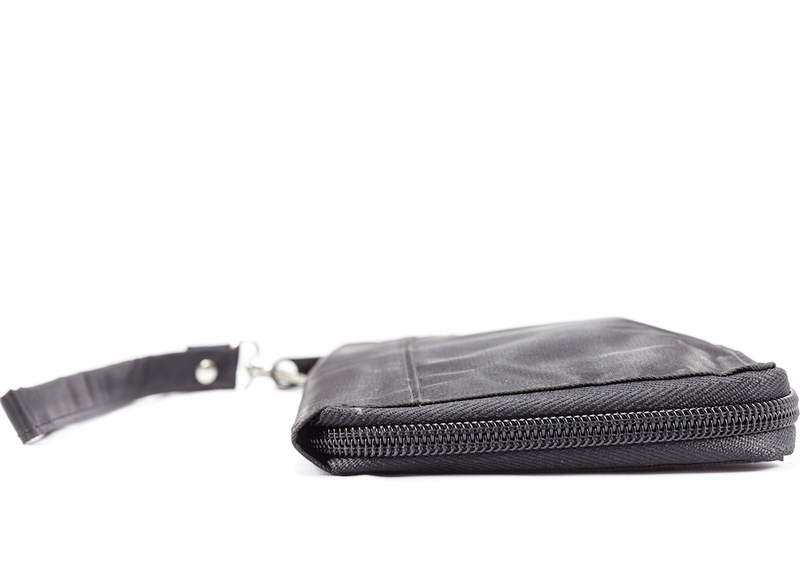 I would love to have this wallet in black, but a black interior is a deal-breaker for me. (Same deal for pocketbooks too.). Could you make the interior of the black one tan or grey or something? ProsThin. Great interior layout. Wrist strap! I have had my black panther clutch for I think at least eight years. It is just now starting to show a few signs of wear, but all the zippers and pockets inside still work perfectly. Great value! My favorite thing about it is it zips closed so I never have to worry about anything falling out.